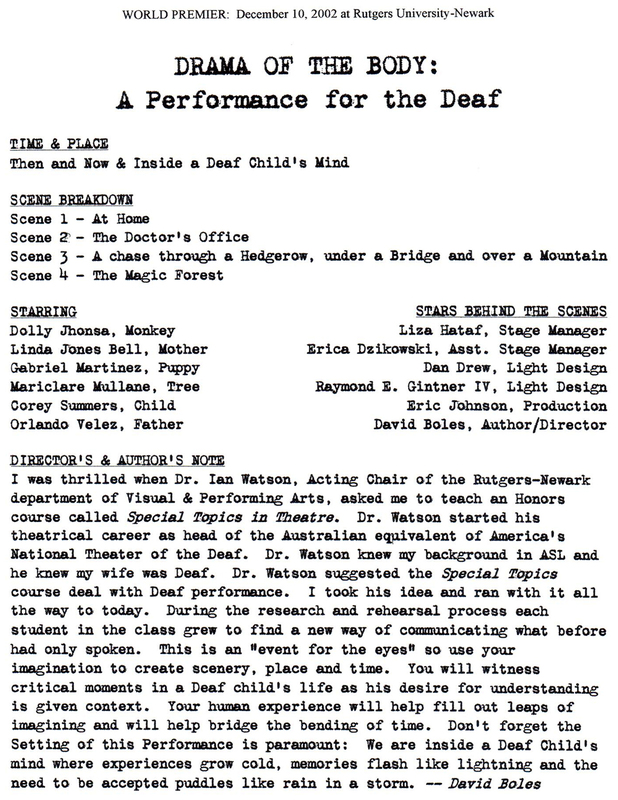 David Boles wrote the play -- Drama of the Body -- as a non-vocal performance and movement piece for the Deaf children of New Jersey. The play was presented by the Rutgers-Newark Department of Theatre in 2002. 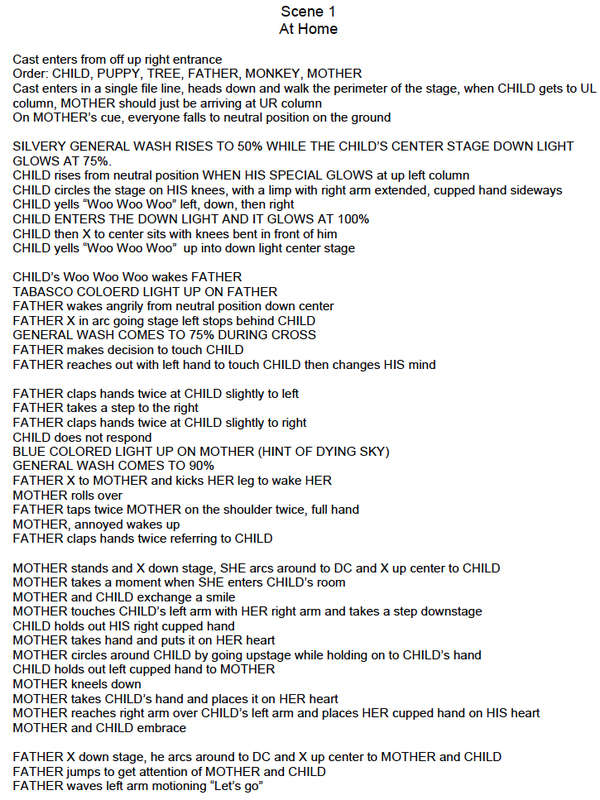 The entire script is available by touching the page image below.